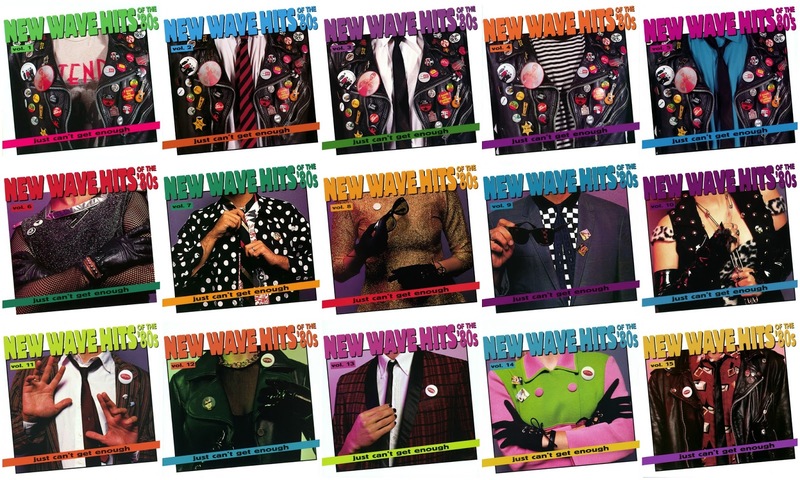 On June 21, 1994, Rhino Records issued the first wave of five CDs and cassettes in their definitive Just Can't Get Enough: New Wave Hits of the '80s series. On October 18, 1994, they followed up with another wave of five volumes and the promo only CD compilation pictured at the top of this post. Then on June 20, 1995, the final five volumes were released bringing the total up to fifteen volumes for the series. 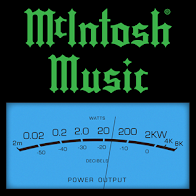 A second promo only sampler (below), covering all 15 volumes with one track from each, was released with the third wave as well. It is ironic that Depeche Mode's "Just Can't Get Enough" is not included amongst the 240 tracks. Rights issue? Quite a few of the songs are presented in their original 7" single form rather than the usually longer album cut with many making their CD debut in the shorter format. All of the CDs have 16 tracks, with the exception of the promos: the first one has 19 tracks while the second one has 15 tracks. 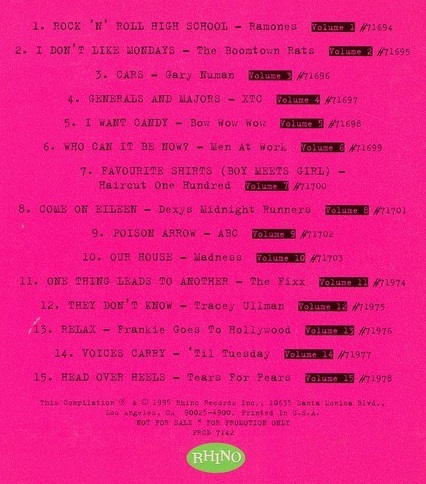 Five of the tracks on the 1994 sampler differ from the tracks on regular issue discs in the series. The cassette versions mirrored the track listings of the CDs for the first wave alone; after that, five volumes on cassette featured fewer tracks than their CD counterparts. The five "less than" volumes were 6, 8, 9, 10 and 12, each featuring anywhere between 1 and 4 fewer songs than the CD. 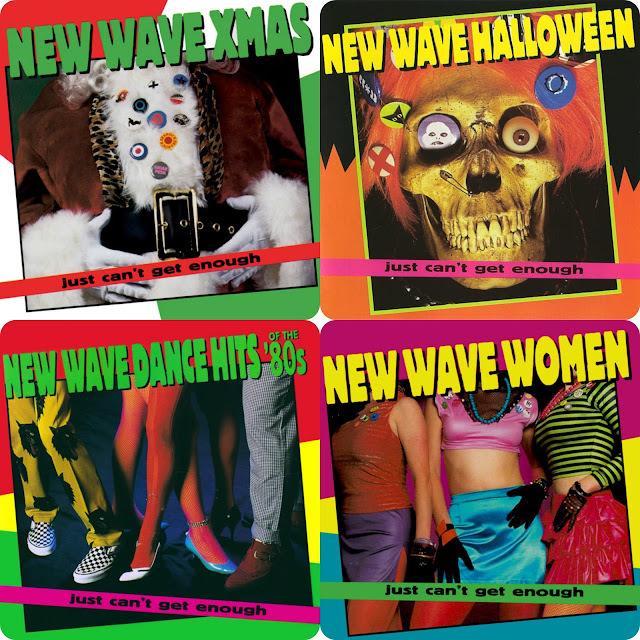 In addition, four other themed titles (above) were later added in the series: New Wave Xmas [October 15, 1996], New Wave Halloween [June 30, 1998], New Wave Dance Hits of the '80s [September 16, 1997] and New Wave Women [August 19, 1997]. In November 2010, six digital-only compilations were released under the Just Can't Get Enough banner: One Hit Wonders Of The '80s, New Wave Hits Of The '80s, Movie Hits Of The '80s, Pop Hits Of The '80s, Love Songs of the '80s, Video Hits Of the '80s along with a 72 track Hits Of The '80s Boxed Set, which gathers the six collections at a reduced price. [But doesn't come in a box!?] These collections stray from the original series' subtitle New Wave Hits Of The '80s although there are a few genuine New Wave titles included that failed to make the original series. 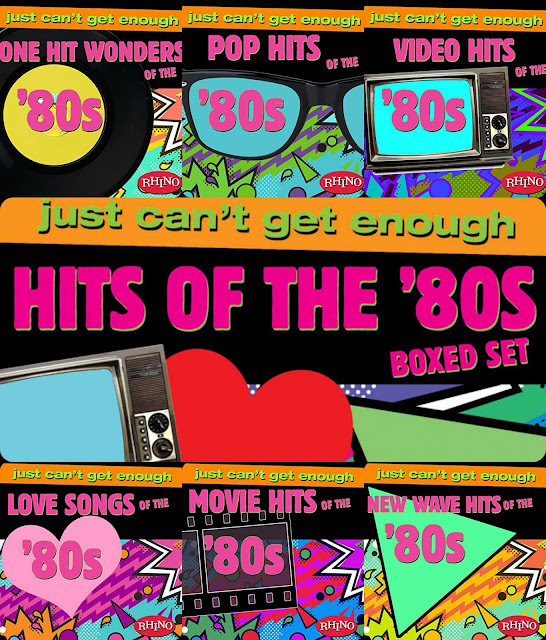 Finally, in December 2011, Rhino Records asked '80s college rock site Slicing Up Eyeballs to guest curate their Just Can't Get Enough - The '80s Rhinofy playlist and they stocked it with '80s tracks, most of which are not featured on the original series from 1994-1995 but would fit very nicely. Todd S., the man behind the curtain over at Slicing Up Eyeballs, continued to curate the playlist up through at least 2014, which is the 25-song playlist above. Herc, I own the original 15 on compact disc. I got a number of them for my 30th birthday in 1995. I love the variety on those covers, with the attention to detail on the clothes right down to the pins, etc. I strongly recommend this collection to anyone who is interested in 80's new-wave/alternative music. After acquiring two or three volumes in the series for just one or two songs ("Images Of Heaven" by Peter Godwin was one and "What Do All The People Know" by The Monroes was another), they became harder and harder to find. Remember when there was a time when certain CDs were hard to find - there was no internet or used CD stores at the time and all these music lovers would descend upon music stores when the New Releases came in? Good times. 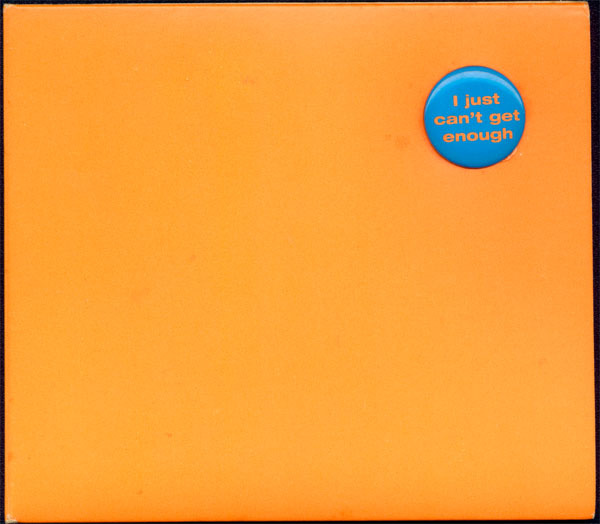 In one of the last Columbia House mailings I remember getting (maybe 1997 or 1998), there was an insert for Rhino collections including Just Can't Get Enough and Have A Nice Day (which I also had only a few volumes of) sold as complete sets for something like $10-$12 a disc - not cheap. I managed to round up a few "investors" and a couple of weeks later, those 40 discs were delivered to our front door. The cover photos are a lot of fun to look at and for most volumes in the series, the liner notes are packed with all sorts of information. If I had to find a flaw with the Just Can't Get Enough series, it would be the lack of uniformity in the liner notes by different authors. Stay tuned for upcoming features on three other great Eighties New Wave collections: Living In Oblivion, Richard Blade's Flashback Favorites and Time-Life's Modern Rock series. I know you've probably seen them, but click here for my track by track analyses of the series. Spent more time than I should have immersed in your reviews of this series doing "research" for this post. Surprisingly, we seem to disagree strongly on a few of the tracks but mostly we're simpatico. Been kicking around the notion of contniuing the series virtually with Spotify playlists. When I finish working my way through the 80s compilation classics I mentioned in a previous comment, I was gonna step back in time to the Seventies, which means I'll have to read all your reviews of the Super Hits of The '70s discs. We'll see if you bring out the fighting side of me on any of those tunes.